A fair amount of Hollywood’s output stems from The Blacklist. About 200, in fact. The F Word is one which found a place in 2008. The list is made up of the best as-yet unproduced screenplays, which are voted on by film industry development executives. It’s a chance for budding screenwriters to upload their spec scripts and see how Tinseltown responds. THE F WORD. It’s not what you think. It means “Friends” as in, “Can’t we just be Friends?” Ok, it’s not an obscenity. In fact it might be one of the coolest things about us as humans. But when you’re looking for love, it’s frustrating, uncomfortable, heart-wrenching and even infuriating. 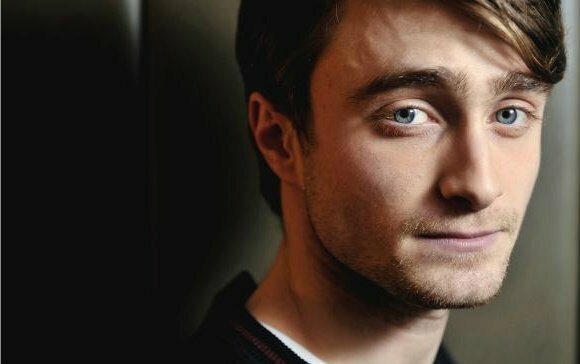 The first look at photos from the film are a good glimpse behind the scenes, and a chance to see Radcliffe once again venturing into new acting territory. He’s accomplished a wedge of acclaimed work since leaving behind the Harry Potter franchise. The Woman In Black saw him navigating his way through the murky mire of a haunted house while Kill Your Darlings, which premiered at Sundance, has him donning the glasses once more as Beat poet Allen Ginsburg. The F Word comes from the director of Goon and It’s All Gone Pete Tong, Michael Dowse. It also stars Zoe Kazan, Rafe Spall, Amanda Crew and Adam Driver. No release date has been announced, but expect one at Cannes.